Are you searching for a new or used 3500 Ram Truck for your next work truck in northeastern Oklahoma? Vance Chrysler Dodge Jeep Ram in Miami, OK is committed to helping hard working Oklahomans find a truck that will work as hard as they do. We are the premier dealership in this part of the state. In fact, many people drive from Missouri and Kansas to get a truck that will tackle those challenging jobs you have. 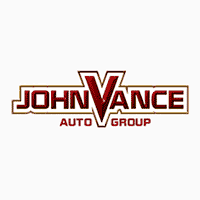 Vance Auto Group has been faithfully serving our neighbors for over thirty years now. We own nine full service dealerships, each with a huge inventory of vehicles to select from. Our staff can get you into the perfect truck for your business. The Ram 3550 is America’s longest lasting truck. In fact, J.D. Powers named it as the Best Resale Value in the entire auto industry, also naming it Best Resale Value in the Heavy-Duty Truck class. It was also awarded Contractor’s Top 50 award. The Ram 3500 will become an invaluable team player in whatever hard work you specialize in. With six models to choose from, one of these is sure to be a great fit for you: Tradesman, SLT, Big Horn, Laramie, Laramie Big Horn, or Limited. Come see one for yourself in Miami, OK. Haul whatever you need to with a payload of up to 6,720 pounds or 7350 lbs gas payload. It has a maximum Torque rating of 930 pounds. The Ram 3500 is the Best-in-Class when it comes to Fifth-Wheel Towing at 30,000-pound capability. It can tow up to 31,210 lbs. It has an available class-exclusive Rear Auto-Level Air Suspension. You get a lot of truck in this hard-working Ram 3500. There is just sop much to discover about this amazing truck that you have to come check out all the available features designed to assist you inside and out such as: the Max Tow Package includes the Fifth-Wheel/Gooseneck Prep Package, the Class-Exclusive RamBox® Cargo Management System, the Cargo-View Camera, the Wheel-to-Wheel Side Steps, the ParkView® Rear Back Up Camera System, the LED Bed Lighting, and the ParkSense® Front/Rear Park Assist Sensors. Come see if the incredible Ram 3500 can be an invaluable part of your work. Come see us at Vance Chrysler Dodge Jeep Ram in Miami, Oklahoma where we work hard to get you into the truck that will make your job easier and more effective.